At the IWES, the Dx is used to measure bending moment and torsion at the main shaft and the generator shaft of a windmill. These data are integrated in a pool with further condition monitoring and meteorological data. 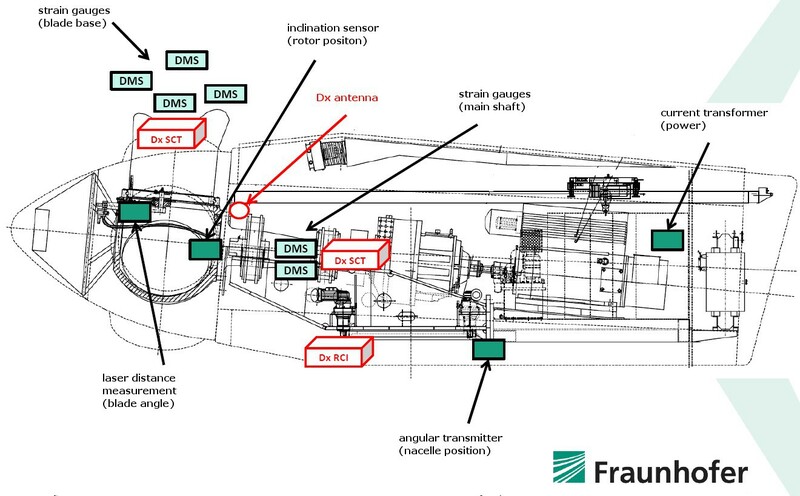 On this basis, the Fraunhofer Institute is developing methods for efficiency improvements in machine care, aiming to minimize costs and prevent secondary damage. Based on positive experiences in this pilot application, the recently founded Applicance Center for Wind Energy Field Measurements (AWS) will be using the Dx in a further project. Here, another strong point of the Dx system comes into play: Due to a clock signal from the receiver unit, data from different measurement sites is recorded synchronously. ‘Due to time-synchronous data capture, the measurement data can be correlated with specific events and operational conditions.’ states Sarah Barber, group leader at the AWF. One transmitter unit (SCT) at the rotor blade captures the blade’s bending moment in two spatial directions, along with rotor position and rotor angle. At the main shaft, one further transmitter unit captures the shaft’s bending moment in two spatial directions and its torsion. 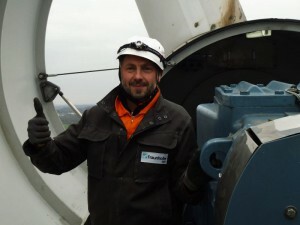 The data from both measurement sites is recorded synchronously and then transmitted to the receiver module inside the nacelle, with a CAN data stream as output.